Oman accepts the first delivery of military transport aircraft C-130J Super Hercules. 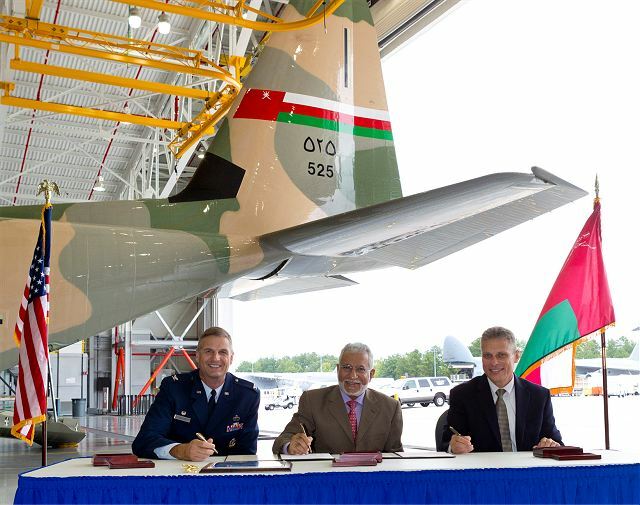 The first C-130J Super Hercules for the Sultanate of Oman was formally accepted at ceremonies, Aug. 30, at Lockheed Martin’s Marietta facility. This is the first of three C-130Js on order for Oman and is scheduled for delivery later this year. 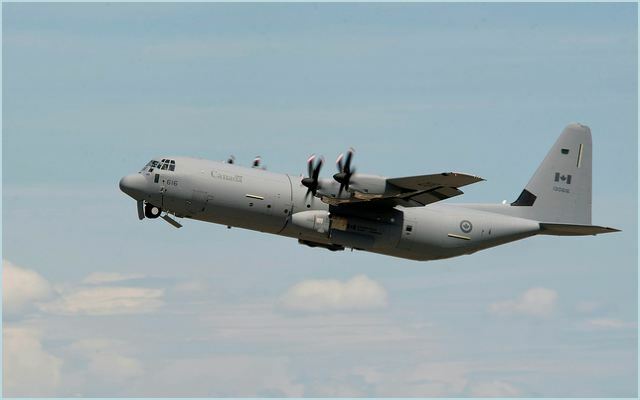 The new C-130J will be used to support internal country operations where its ability to operate out of remote austere airstrips will be invaluable. Pictured left to right are Colonel John Drohan, United States Air Force, Commander, Defense Contract Management Agency-Marietta; Commander Suleiman Al-Brashdy, Omani government official; and George Shultz, Lockheed Martin vice president and general manager C-130 Programs. Ceremony for the delivery of C-130J military transport aircraft to Oman.